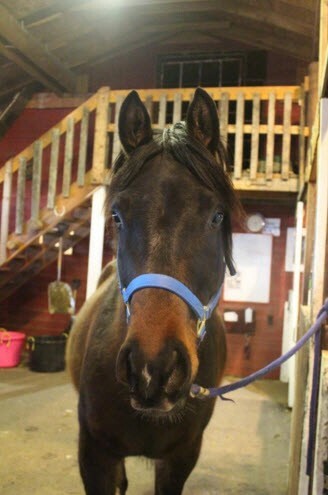 Meet Tempest. He's a young Arabian gelding looking to make his distance riding debut this year. 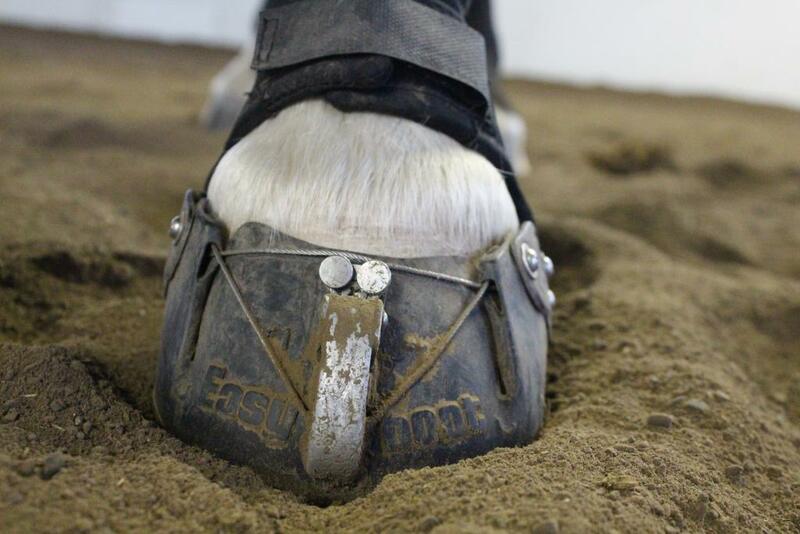 Up until now most of his training has been in an arena with dirt/sand footing or grass footing. He seems to do pretty well barefoot on the gravel but his owner, a friend of mine, is looking for hoof protection for him for the long miles he's about to start doing in conditioning for 25 mile competitions. 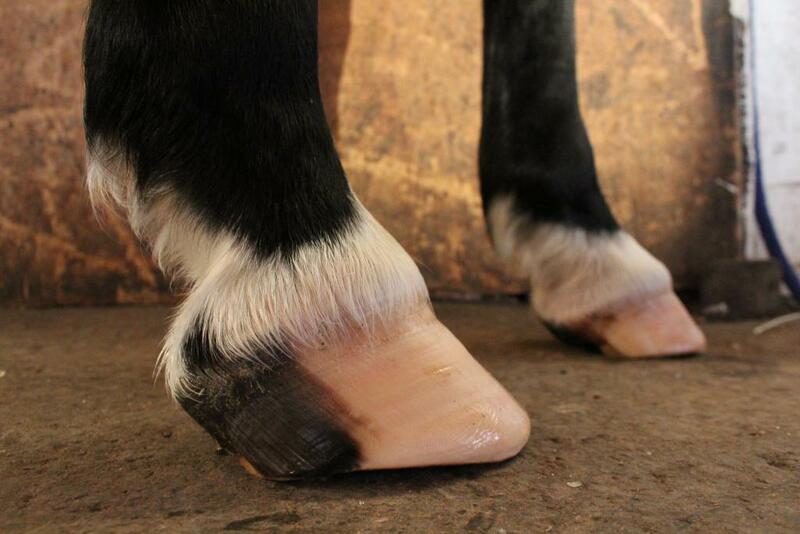 The front hooves will have their heels set back in coming trims and the flares in the quarters will be addressed. Overall though it shouldn't change the size of boot needed for his fronts and we set to work seeing what may fit him from my own personal stash as we didn't have a Fit Kit on hand. 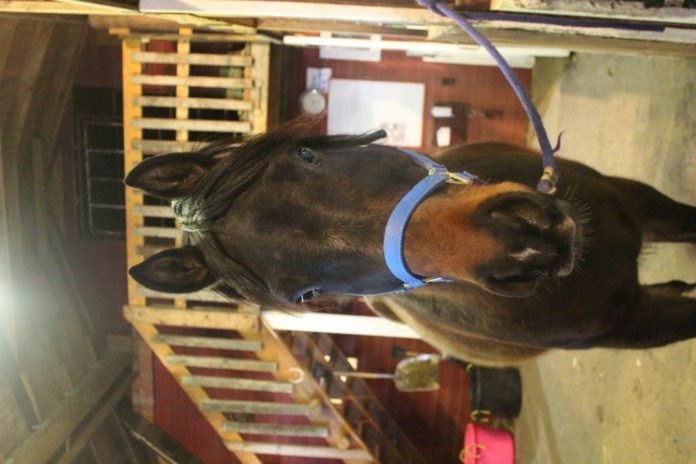 Looking at the size charts in regards to his hind hooves it was determined they will need a few more trims to become more balanced before we will try to fit boots to them. 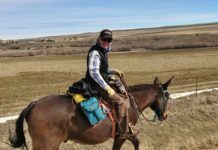 Tempest's owner liked the simplicity of the Gloves but after considering the Gloves Sizing Chart and trying the size one I had on hand on his front hooves, it was clear they weren't going to be the answer for him. 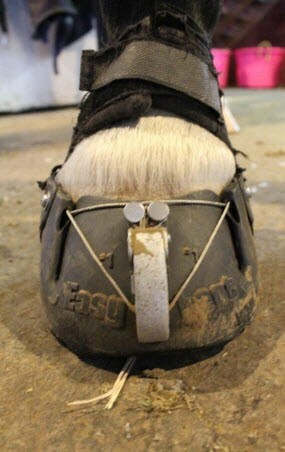 He would fit better into the size one wide, but then there was discussion regarding how the Gloves require a precise and tight fit which means he may need to be trimmed more often to ensure his boots remain snug and it was decided that they may not be the best option for him at this time and current farrier schedule. 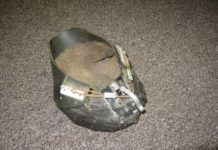 We moved on to looking at the Easyboot Epics and according to the Epic Size Chart I had something in my pail of boots that should be the perfect fit!The Epics are great for owners who rely on their farrier every five or six weeks as they are fully adjustable and more forgiving in the fit department because of this. 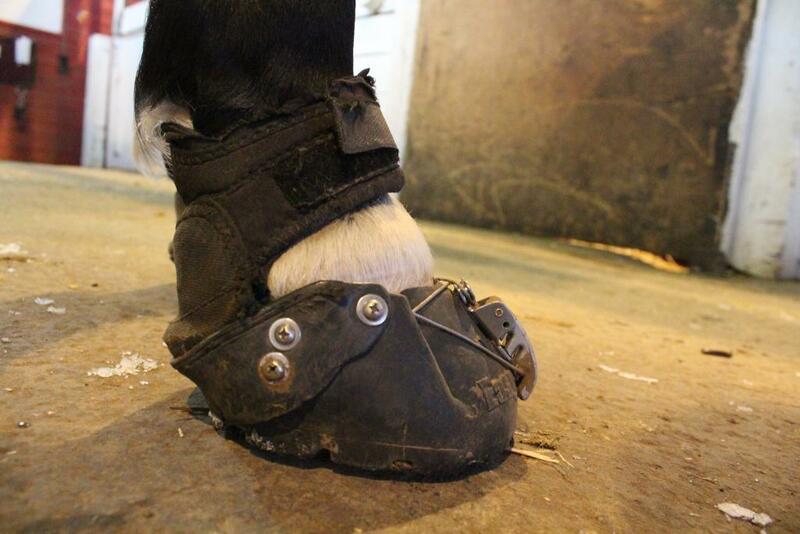 We slid the size one Epics onto his front feet and adjusted the cables to ensure a snug fit. 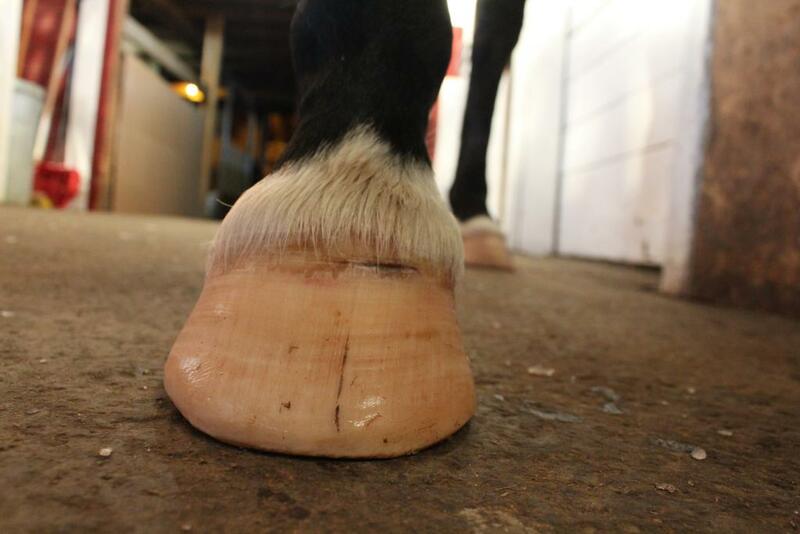 With the cables in this position, we're not able to get the boot much tighter but since he was just trimmed yesterday he shouldn't need them tighter but as he grows out his trim over a five to six week period he should in fact need them a bit looser so it looks like we have a winner! 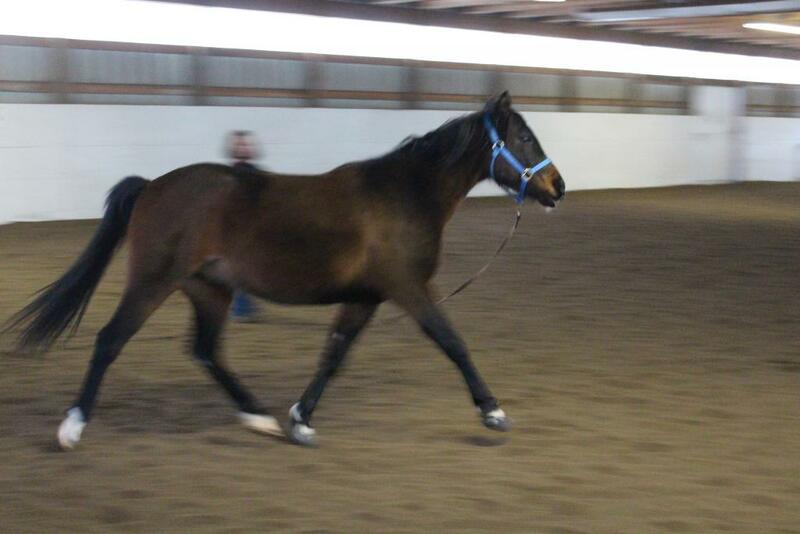 We tested our fit by taking Tempest to the arena and having him walk, trot and canter various sized circles on the lunge line to watch for any twisting, forging, over reaching, etc. 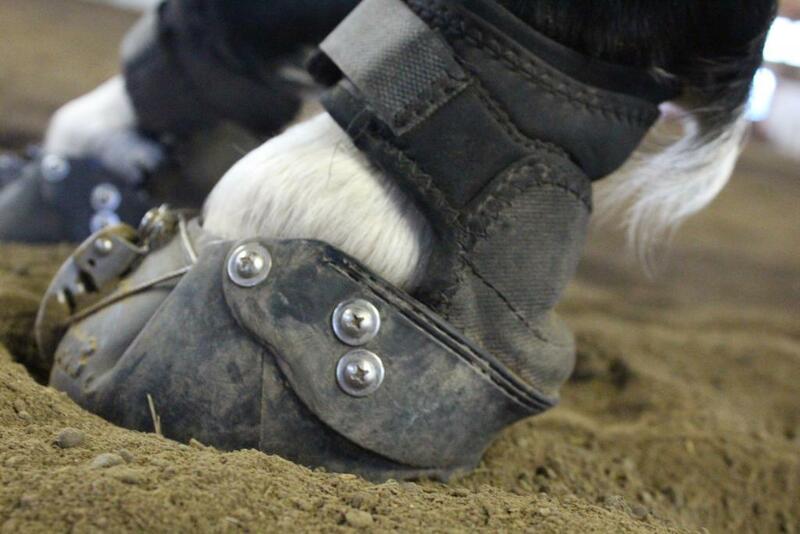 The horse and the boots performed beautifully and it was determined that size one Epics are the right fit for this geldings front hooves. 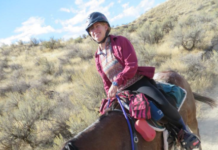 His owner is excited to get her hands on her very first pair of Easyboots and get some conditioning miles under their belts. I can't wait to see them on the trail this summer. They are going to be a great team and the newest ambassadors for the great technology EasyCare offers in hoof protection.